Massed flowers offer a challenge to those of us who prefer to paint realistically. I've been experimenting with the "wet-in-wet" technique, and have enjoyed both the process and the outcome in two recent paintings. In the first, "Ivory Vase," I began by dampening the background area, and painted around the vase shape with washes of Winsor & Newton Burnt Sienna and Ultramarine Blue, with a few drops of Daniel Smith Cobalt Blue. I used this blue, also, on the lower portion of the vase. When the first background wash dried, I built up the depth in some background areas with subsequent washes of Burnt Sienna and Ultramarine Blue (which make a really nice gray), allowing each layer of wash to dry completely before continuing. I used this same combination to model the rounded shape of the vase. 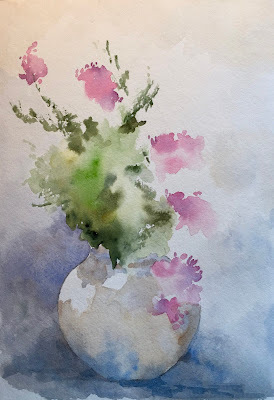 For the blossoms, I dampened the area where the flowers and leaves would be and dropped in splotches of color, using Winsor & Newton Permanent Rose and Permanent Magenta, with tiny amounts of Holbein Mineral Violet. I let the colors mingle to create the flowers shapes. Then, I used Winsor & Newton Permanent Sap Green and Green Gold, plus (my new favorite) Daniel Smith Undersea Green. I also added touches of Holbein Shadow Green to intensify the darkest areas of stems and leaves. 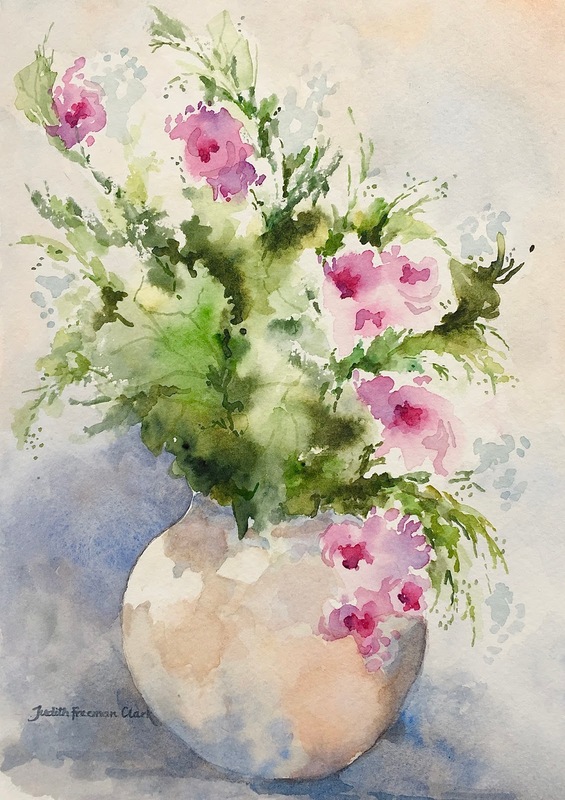 To suggest feathery foliage at the top part of the arrangement, I loaded a #8 round brush with Shadow Green, blotted it slightly to remove excess moisture, then dragged the brush sideways on the paper. The finished painting shows various details in flowers and leaves which were added after everything was completely dry. 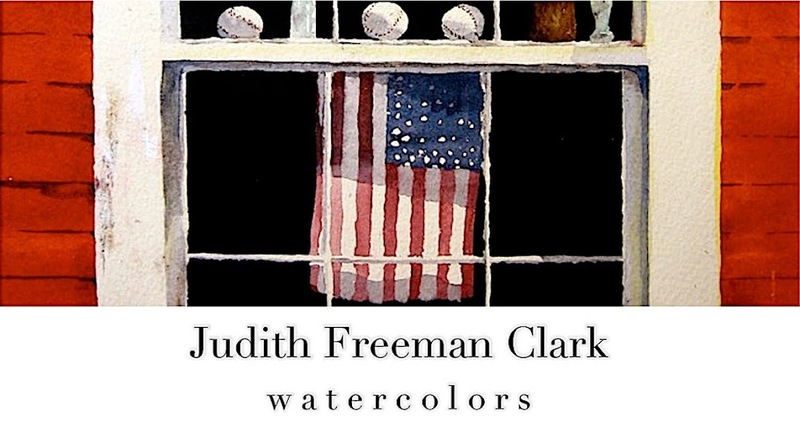 Transparent Watercolor matted and framed 11" x 14"